Built in 1882, the shops and the people who worked in them did every aspect of work imaginable for locomotives, freight and passenger rail cars for what became the Great Northern Railway. 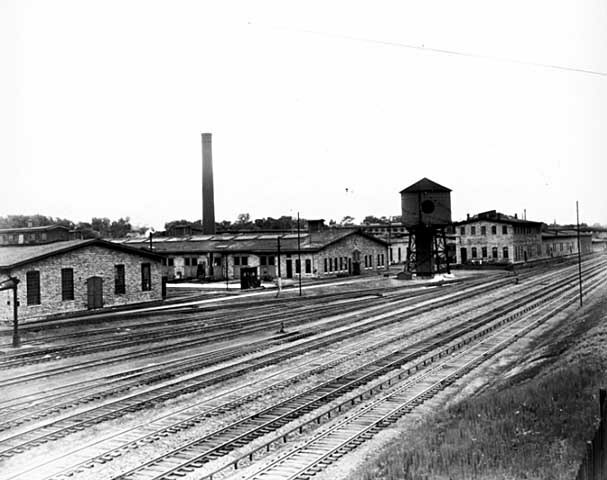 Most of the buildings were originally erected for the Saint Paul, Minneapolis and Manitoba Railroad. 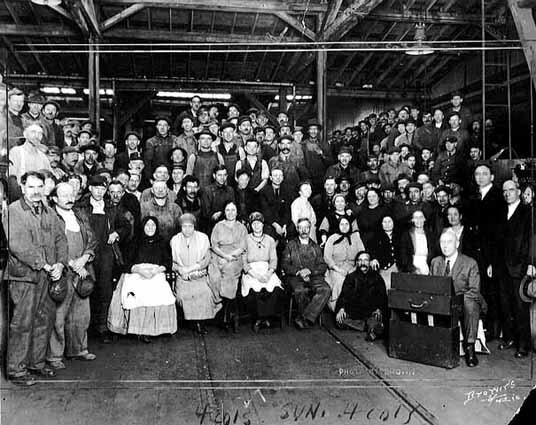 Not only did mechanic, welders and machinists work here, they were joined by workers who sewed, dyed cloth, crafted light fixtures and did a range of tasks to keep the railroads running. 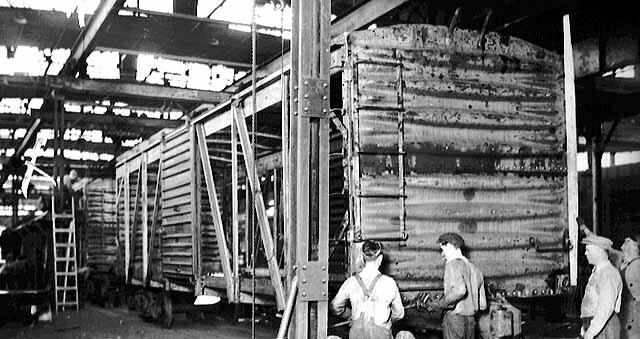 The work ranged from machining parts for cattle cars to making sure that silver fixtures in the luxury rail coaches were sparkling. The site had everything from a foundry where blacksmiths toiled to rooms where careful sewing was done. 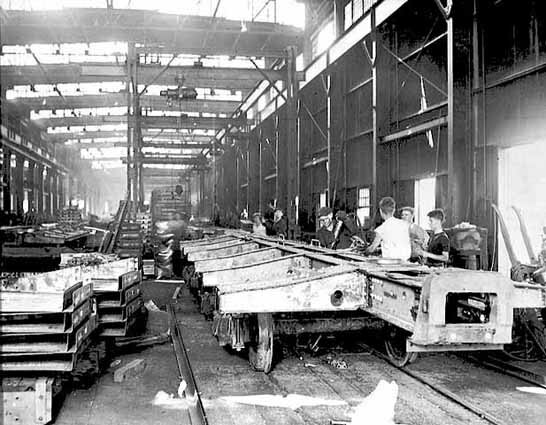 Locomotive, freight cars, livestock cars, passenger cars and cabooses were built, repaired and maintained here, although much work on locomotives was shifted over to the Dale Street Shops. Thousands of area residents worked here over the years, for what eventually became the Great Northern Railway. Three of the Jackson Street Shops buildings are now part of the Empire Builder Business Park, developed by the Saint Paul Port Authority in 1985. The area is also the Saint Paul, Minneapolis and Manitoba Railway Historic District. 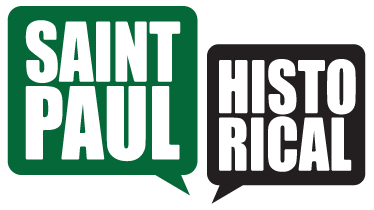 The three remaining historic buildings are under the purview of the Saint Paul Heritage Preservation Commission as a local historic district. The three native limestone buildings remaining are the pattern shop, the machine shop and a storage building. The buildings were designed with two-foot thick walls and heavy wooden columns. They are the remnants of what had been a group of 25 buildings on a 36-acre site. When the shops were no longer needed by the railroad in 1970, they were used for storage. Eight buildings were remaining. Some were in a deteriorated condition and were torn down when the industrial park was created. Jane McClure, “Jackson Street Shops,” Saint Paul Historical, accessed April 18, 2019, https://saintpaulhistorical.com/items/show/241.